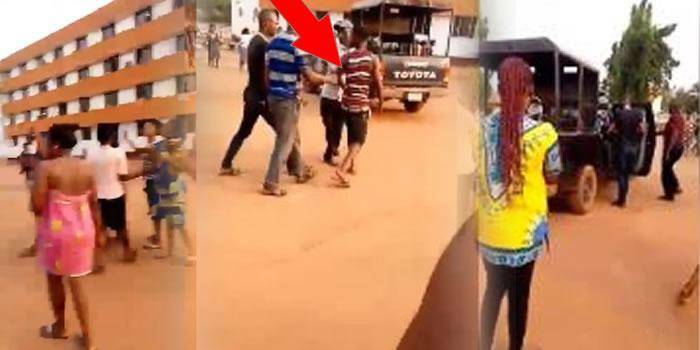 A young man was allegedly nabbed by the police yesterday after he was spotted in a female hostel at the Kogi State University. It was reported that the suspect was at the verge of stealing from the students in the hostel when an alarm was raised. However, some students claimed that he was trying to steal some underwears before he was caught.